Promise Walk Team of the Year – Chicago, IL Promise Walk (Jasmine Mago, Melanie DalPonte, Nikki Mather, Elizabeth Pebelske, Jill Siegel and Johanna Aiken): Putting on the best walk in the nation takes a village! In 2014, the Chicago Promise Walk and 5K Run was the top event in the nation, raising over $65,000 with over 500 participants. The success of the event was due in no small part to the hardwork of the three lead walk coordinators, Mago, DalPonte and Mather, building off of the strong infrastructure of their predecessors Pebelske, Siegel and Aiken. In addition, the Chicago volunteer team puts in many hours of mission work in Chicago through patient education and improving health care practices in their local community. How did preeclampsia bring your team of volunteers together? 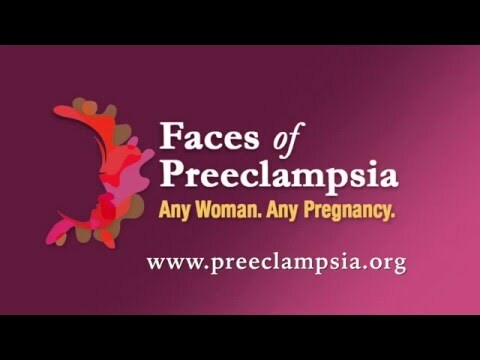 All of us are preeclampsia and/or HELLP survivors, but we are 6 different examples of how the disease can strike mothers and babies at different gestations, with varying complications, outcomes and long-term ramifications, including but not limited to premature birth, stillbirth, stroke, and long term health issues. We often say we are members of a club we never wanted to join! But our experiences during pregnancy all sent us down a road on which our paths were crossed. Some of us came together through word of mouth of our stories among friends. Others found us through the Foundation’s website after inquiring about volunteering. Still others of us attended a walk to heal and connect with others and were motivated to use their own leadership skills to help plan activities. What gets this team excited about serving the Chicago preeclampsia community? We are thrilled that the 2014 Chicago Promise Walk and 5K Run for Preeclampsia raised $65,000 and was attended by over 500 people. We are excited to keep the momentum going and make 2015 and even bigger year! What does it mean to be recognized as the Promise Walk Planning Team of the Year? To be recognized by the committee as the Planning Team of the Year is a wonderful recognition... not only of our outcomes, but of the fact that it does take a team to build a local movement. The 6 of us worked together as a team, along with some other important volunteers, to make the 2014 Chicago Promise Walk as successful as it could be. We are very proud of our accomplishments and will work even harder for the future Promise Walks to be just as successful. Thank you to the committee for this great honor! What has been your most gratifying moment as a volunteer? What is your team's continuing goal for the near future of the Chicago Promise Walk event? Our goal is to make the Chicago Promise Walk and 5K bigger and better each year by reaching more families affected by preeclampsia, spreading awareness and raising funds to help find a cure. We are already starting to plan the 2015 event and thinking about doing some other types of awareness and fundraising events in the future.